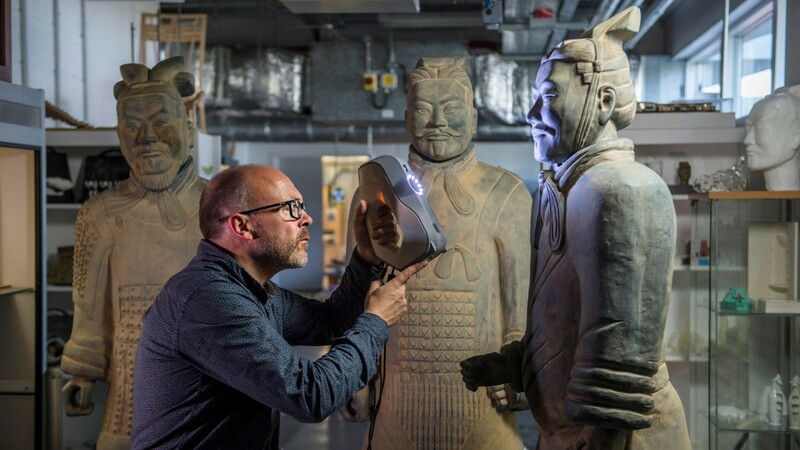 We utilise a number of non-contact 3D scan technologies to accurately digitise surface geometry from a range of artefacts and architectural features. Our conservators work with many valuable or significant artefacts to carefully scan and create detailed digital records which we can then manipulate and analyse to create new digital assets. 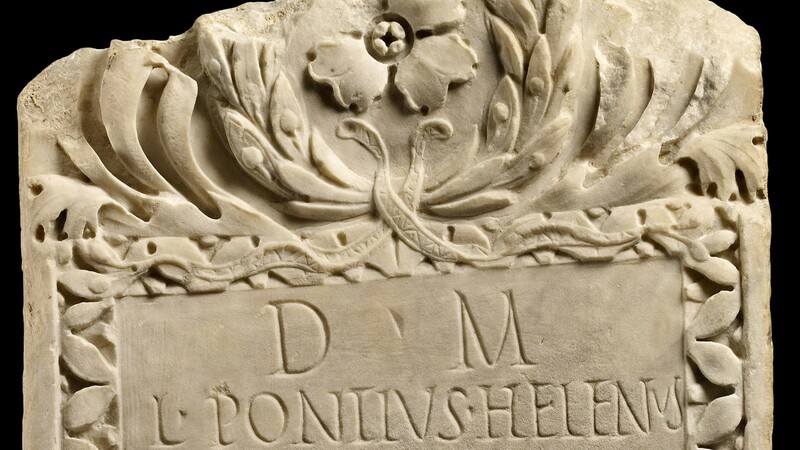 Roman Tablet, Asmolean Museum. Our conservators scan a vast range of vauable or significant artefacts. 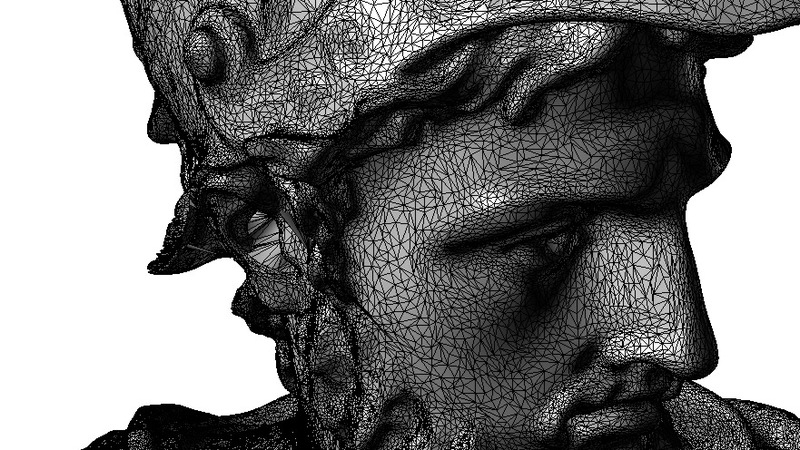 Wire-frame mesh belonging to the bust of Ajax. Our conservators use a combination of scanning technologies to capture details from small fine items through to furniture, busts, monuments, ceramics, tiles, architectural features, headstones, sculptures, embossed wallpapers and historic machines and vehicle components. Minimal contact and contamination. 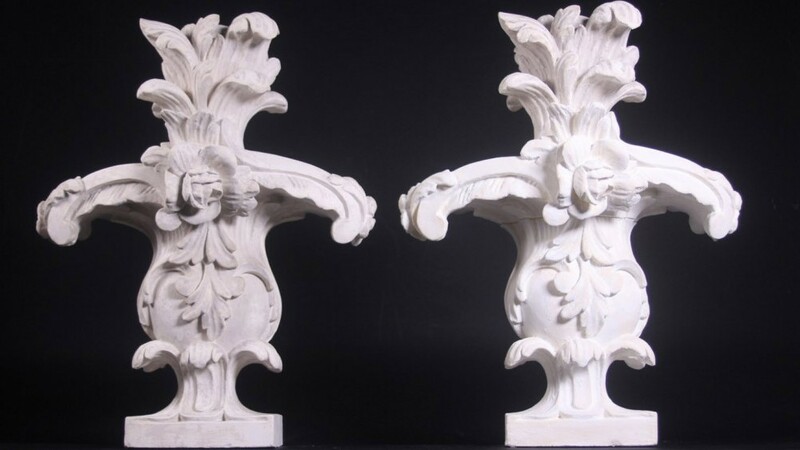 3D scanning is virtually non-contact only requiring minimal handling for the scanner to view the object. Create an accurate digital record to preserve cultural heritage. 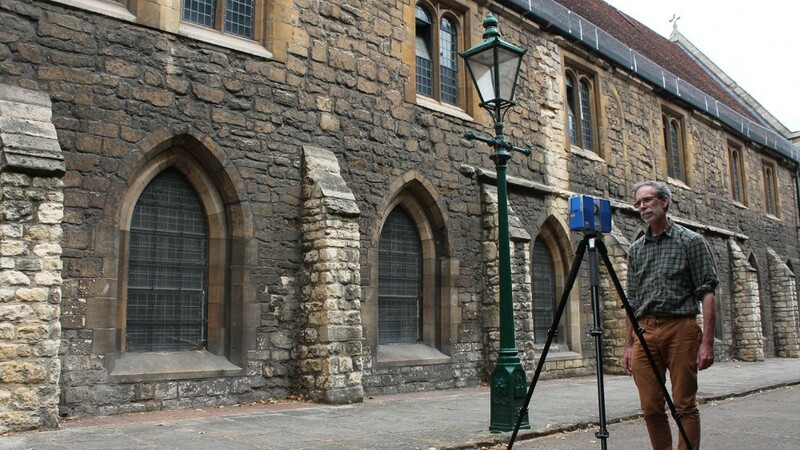 An accurate 3D digital reference model provides a permanent record for an artefact that might be in danger of loss, as part of a disaster recovery plan or a strategy to manage new digital heritage collections. This model will be more accurate and useful than previous 2D libraries of images and drawings. Digital repairs and restoration. You can minimise contact and contamination of original artefacts by carrying out digital repairs to your digital model. New parts can be reproduced and applied to the original physical artefact by our accredited conservators using permanent or reversible fixing techniques. 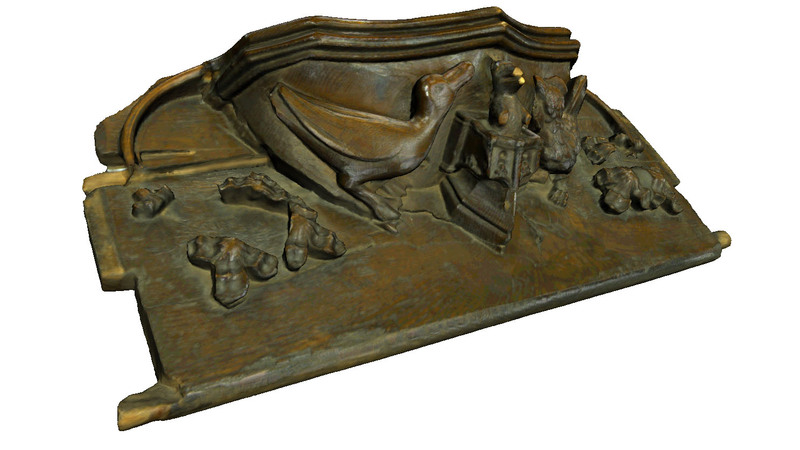 Heritage interpretation and remote visitor access to virtual 3D collections. A full colour digital model can be viewed on desk top screens and smart phones. 3D models can be incorporated into web browsers or other office-based applications such as Word, PowerPoint and PDF documents. Models or environments can also be viewed using VR or mixed reality headsets. Monitor, measure and analyse. You can monitor and measure movement, decay, wear and tear. You can record and evidence damage and analyse geometrical properties such as volume. You can compare apparently two similar objects from different locations or exposing surface details not easily visible in normal light. Collection of 3D evidence. An object, structure, place or environment that might be in danger of loss or might only last for a brief moment. Reverse engineering of historical machines and vehicle parts to provide new digital ‘blue-prints’ for future restoration projects.